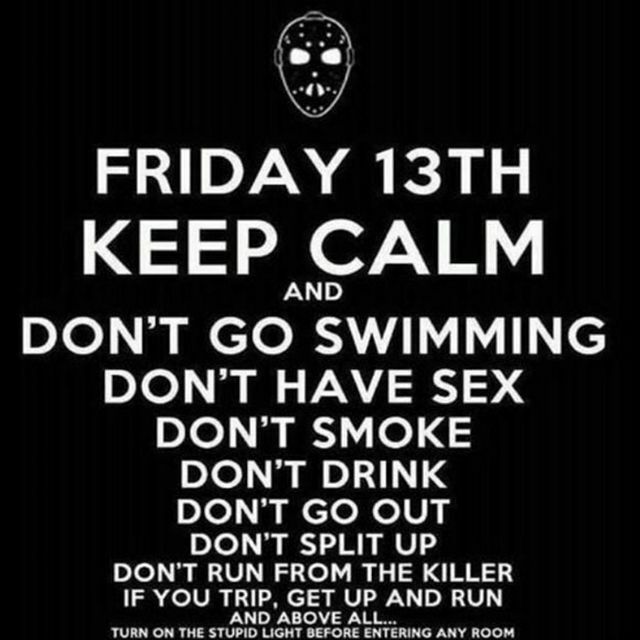 Some of these superstitions are held by folks all year round, but yer doubling down on the bad luck if it happens on a Friday the 13th. Right? Don’t worry, though. You can always break any fresh bad luck you encounter by spinning around 7 times. BUT MAKE SURE YOU SPIN IN THE RIGHT DIRECTION OR YOU’LL TRIPLE IT.